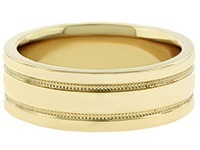 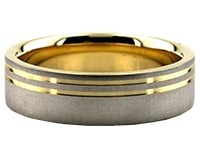 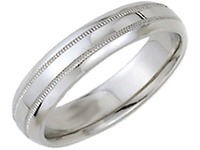 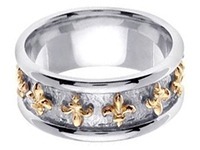 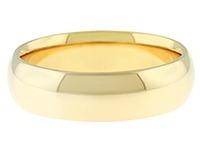 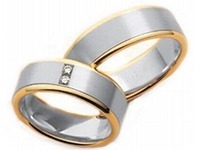 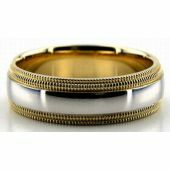 This 14k Gold Two-Tone Wedding Band is 6.5mm wide and approximately 2mm thick, and is rounded on the inside, creating a comfort fit for daily wear. 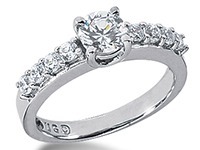 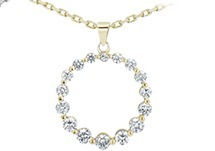 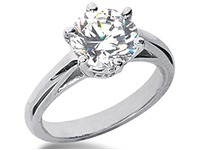 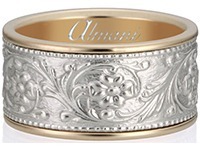 This unique design contains a shiny centerpiece in the center crafted in 14k white gold. 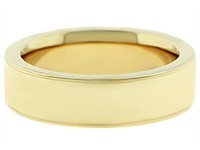 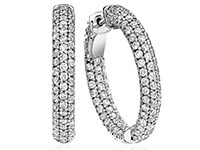 The edging is created with a double Milgrain design in yellow gold on both sides of the centerpiece. 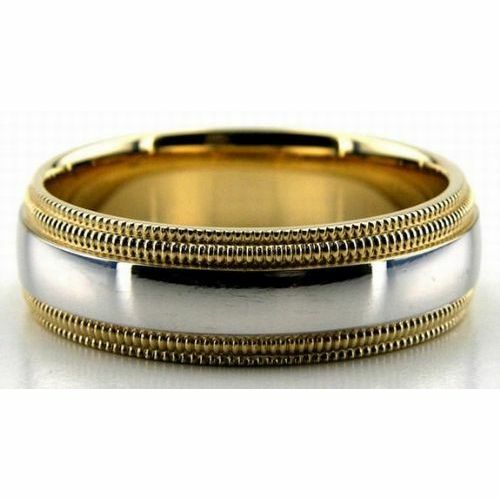 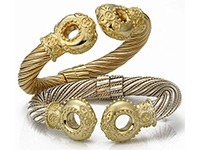 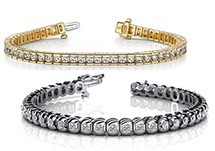 The contrast of the two gold colors adds to the elegance and beauty of this band. 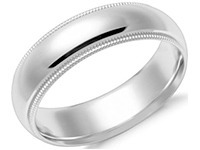 Opting for just one Milgrain design on this band? 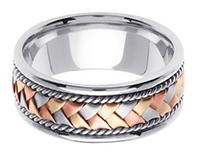 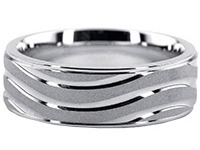 Looking to have the colors inverted so that the ring is designed in yellow or rose gold with white gold Milgrain edging? 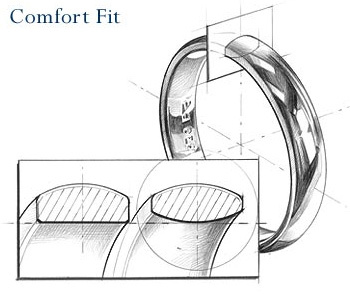 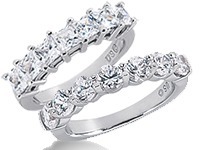 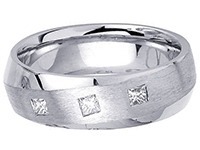 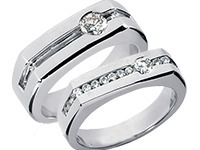 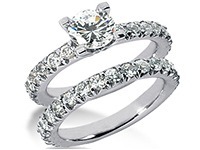 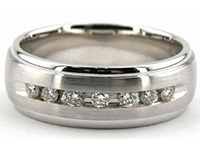 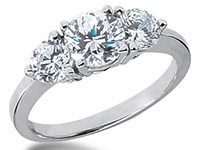 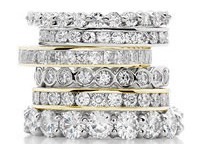 Contact us at Wedding Bands Wholesale today to customize this order for you and make this ring truly special and to your liking.